The Land of Smiles is a natural playground waiting to be explored with secret lagoons, sparkling waterfalls and everything in-between. This unique and affordable destination is perfect for families, with activities to suit all skill levels, abilities and budgets. Most resorts also offer Kids’ Clubs for little to no charge, keeping the youngest members of the family occupied while the R&R-seekers enjoy some adults-only time. With such an abundance of activities and tours available, you’ll have the joy of shaping your own Thailand holiday. 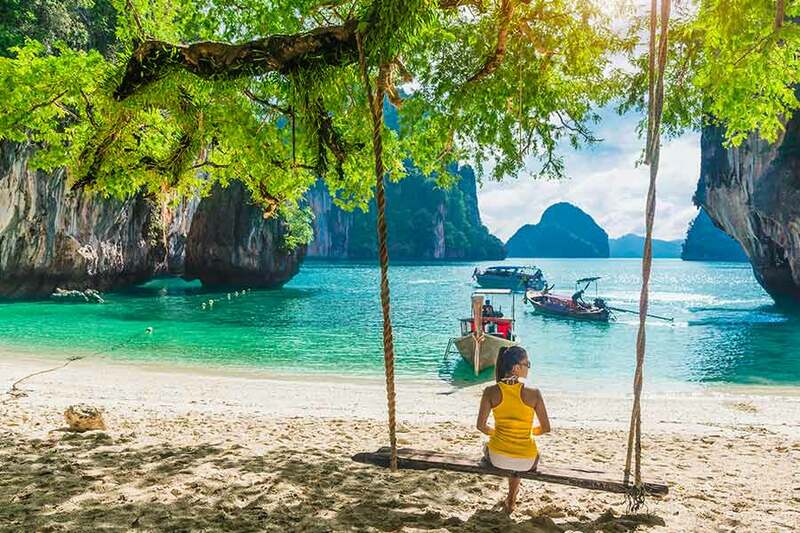 Speak to a My Thailand holiday expert to book with the safest and most reliable operators and make the most of your time while you adventure Thailand! There’s no shortage of rainforest-covered hills, rushing rivers and unbelievable views to seek out in Thailand, but there are a few places where the opportunity for adventure is greater. You might choose to base yourself by the Andaman, where there’s so much more to see than sun, sea and sand. Try zip-lining in Phuket to explore the green inner heart of the island, flying high over the thick rainforest and catching breathtaking views over the rest of the island. It’s a dose of adrenaline that’s both eco-conscious and family-friendly, with many courses suitable for kids aged 4 and older. Alternatively, swap air for water in one of the best thrill-seeking activities near Phuket—nearby Phang Nga province boasts some wild rivers perfect for white-water rafting. 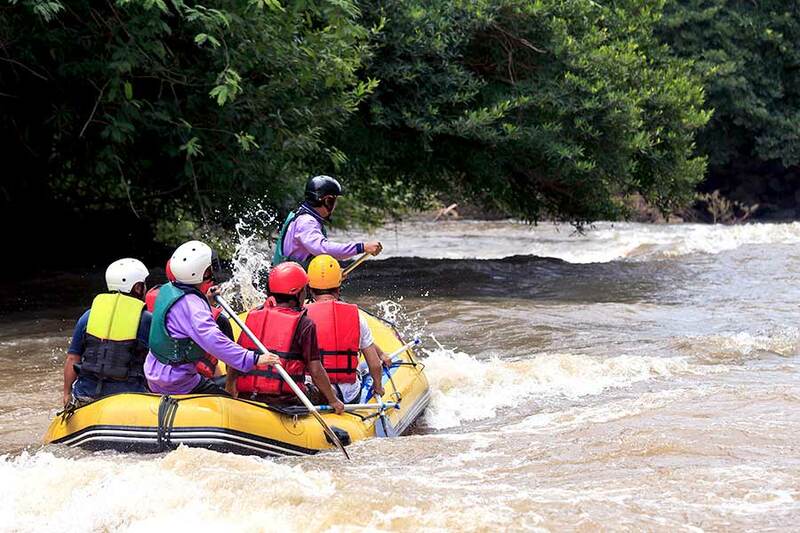 Get ready for thrills and spills while you pass amazing scenery and exotic wildlife. Choose your adventure according to your needs and fitness levels, from short sprints to multi-day rafting trips, or combine with other adrenaline-inducing activities (like an ATV tour) and visits to local villages to round out the ride. Adventure doesn’t have to be all high-octane, especially in a country as diverse as Thailand. The abundance of national parks and reserves, and places of great natural beauty open the way to a more measured experience. Glittering waterfalls, mountaintop panoramas and lush rainforest are just some of the sights waiting for you to lace up your hiking boots! Seek out gibbons and chase waterfalls in Khao Sok National Park, or take it up a notch with an open-top jeep safari through the jungles of Koh Samui. Inquisitive wildlife, winding rivers and secret valleys await, and memories earned on difficult roads are guaranteed to last a lifetime! Meanwhile, the stunning coastline holds its own secrets. Explore inner lagoons and ancient cave systems in Ang Thong National Marine Park. See crab-eating macaques, birds, bats and marine life from the eco-friendly comfort of your canoe or kayak. Drift over crystal-clear waters and around sheer limestone cliffs, discovering hidden caves and secret bays. The direction and knowledge of guides is essential here, as they watch the tides to time your entrance into sea caves perfectly, and take on much of the grunt work to give you the chance to take it all in.